Claremore freshman Noah Smallwood hits a groundball during Friday's game against Prairie Grove, Ark., at American Legion Park. Smallwood was instrumental in preserving the 3-2 win for the Zebras, notching the game-clinching strikeout in the seventh inning. Claremore senior Brady Priess safely slides into second base after recording an RBI double in the fourth inning of Friday's game against Prairie Grove, Ark. Less than 24 hours prior to that moment, Smallwood’s step grandfather, Joe Blevins, passed away after a brief battle with liver cancer. The freshman learned of the passing shortly after Claremore’s win over Will Rogers on Thursday. Given his close relationship with Blevins, the news hit Smallwood hard. “Before every game I had, before every sporting event, he would text me and pray for me, hoping for good luck and that I’d play well and suffer no injuries,” Smallwood said. He could’ve easily chosen to sit out the Zebras’ game against Prairie Grove (Ark.) in the Four State Festival on Friday afternoon, but that’s not what Blevins would’ve wanted. Smallwood knew that. Instead, he decided to honor his late step grandfather the best way he knew how. With Blevin’s spirit backing him, Smallwood wound up for the pitch and unleashed a high-velocity throw. Smallwood’s third strikeout was the game-clincher, preserving a 3-2 victory over the Tigers at American Legion Park. Smallwood surrendered a single to open the seventh inning, but he quickly settled in after a pop out, followed by Brooks Sherl catching baserunner Drew Cates stealing second, put the Tigers at two outs. The freshman then peppered Will Luther with three-straight strikes to give Claremore its fifth win of the week. Of course, Smallwood’s circumstances weren’t lost on Zebras coach Jim Sherl. He admittedly wondered if Smallwood’s heart would be all there at the ballpark, but after seeing his determined play at shortstop, coach Sherl decided to relieve senior Matt Wofford of his pitching duties in favor of Smallwood. Although Smallwood allowed four hits, he surrendered no runs in three innings on the mound, with nearly 61 percent of his pitches resulting in strikes. Wofford finished with three strikeouts, allowing seven hits and two runs in four innings. Despite Smallwood’s external situations, coach Sherl had no hesitation when deciding to put the freshman on the hill. Although young, Smallwood has displayed a raw talent for several sports, including basketball and football. Coach Sherl hadn’t seen him play much baseball until earlier this spring when he came over from basketball, but it didn’t take him long to earn a starting role. That, and Smallwood’s unwillingness to accept defeat, gave coach Sherl all the confidence he needed to make the switch. “He has a lot of talent and a lot of skill, but more than that, he doesn’t want to lose. I don’t know if he cares about winning, but he doesn’t want to lose,” coach Sherl said. “That’s pretty rare for a high school kid. He is going to go out and do whatever he needs to do to not lose. In any tight situation, I want him at the plate, I want him on the mound, I want a groundball hit to him. Cooper Dotson opened the scoring in the second inning with a double to leftfield, scoring Dylan Gettinger. Jake Gilmore then brought Dotson home with a bunt single, giving the Zebras a 2-0 advantage. Prairie Grove answered back in the fourth, recording a run thanks to an error by Claremore third baseman Brady Priess. Priess atoned for his mistake in the bottom half, though, driving in Gettinger with a fly-ball double to leftfield to make it 3-1. However, Jackson Sorters trimmed the score back to a one-run differential with a groundball single to leftfield, scoring Kaine Caswell. It was the Zebras’ first win over an out-of-state opponent since defeating Prairie Grove, 8-7, in last year’s Four State Festival on April 14. 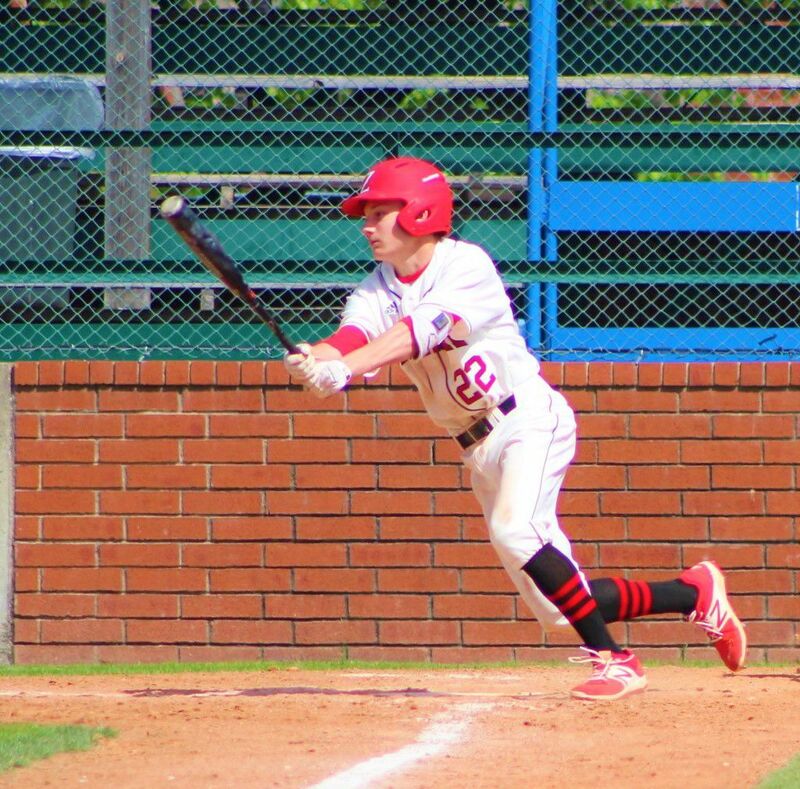 Claremore went 0-4 against teams of that variety last month in the Gulf Coast Classic in Gulf Shores, Ala.
Coach Sherl said it felt good to finally end that pesky losing streak. The Zebras (12-7, 6-2 in District 5A-3) resume district play at 5 p.m. on Monday with a home contest against Skiatook.